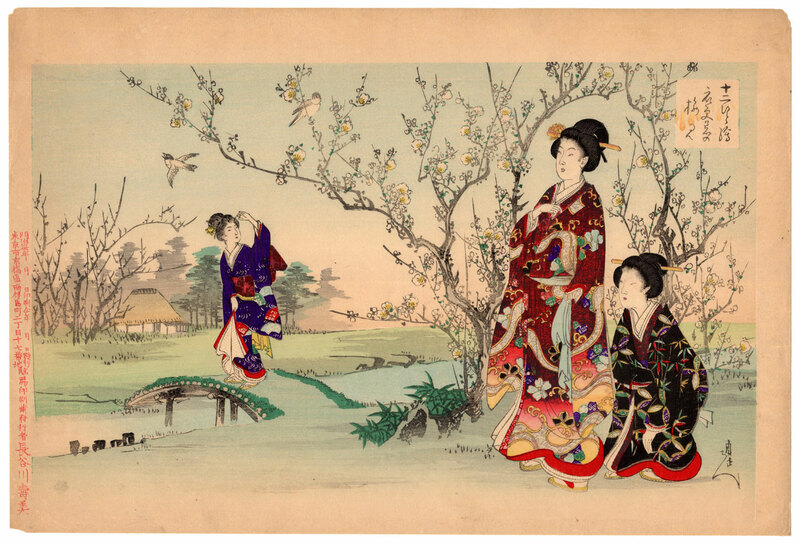 Rare polychrome woodblock print of remarkable workmanship made in 1897 by the artist Toyohara Chikanobu (豊原周延) in collaboration with the publisher Hasegawa Sumi (長谷川壽美). 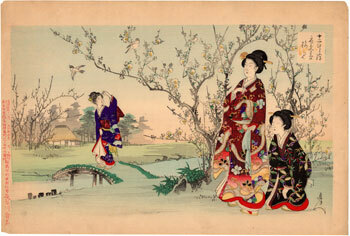 Depicted three bijin (美人) beauties who, on a clear day in February, admire the blossoming plum trees in a park. 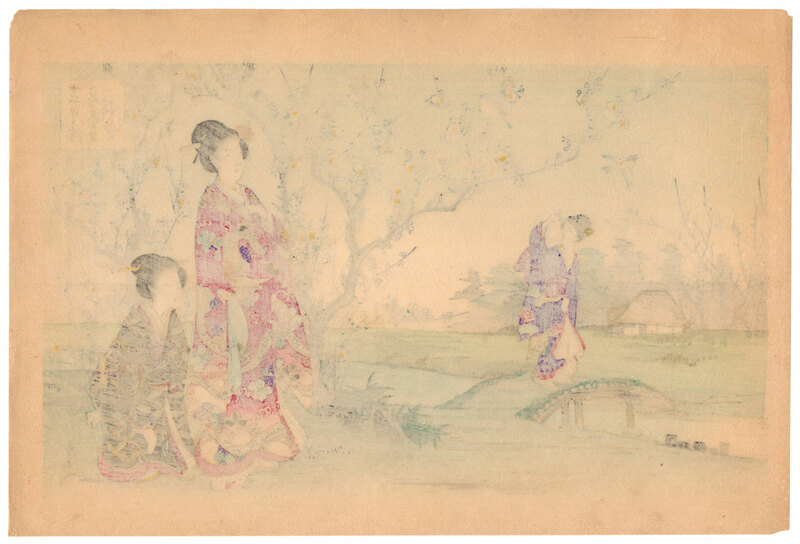 The work, entitled "Viewing the Plum Blossoms of the Second Month of the Lunar Calendar" (衣更着の梅見) is taken from a series of which only a few specimens remain and that is titled "Juni Hitoe" (十二ひと絵): a title that literally means "images of twelve human figures" but which, with a game of assonance, also recalls the junihitoe (十二単), an extremely elegant and complex type of kimono that was worn by court women. The print, despite the evident aging of the Japanese washi paper (和紙) and small tears on margins and corners, is in good general condition.